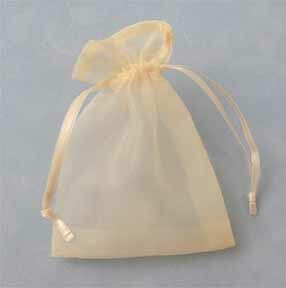 These are great favor bags for either a bracelet, or so that each guest can have a nice bag to take home their charm. These also look great at each place setting at a luncheon. One pouch comes free with bracelet purchase.